The Thomas Lakes trail is located in the White River National Forest and Maroon Bells-Snowmass Wilderness Area near Carbondale, Colorado. The trail begins off of CR6A/FR311 near Dinkle Lake around 8,600 feet and extends for just over 4 miles to the Thomas Lakes area where the elevation is 10,265 feet. The lakes are nestled at the eastern base of Mount Sopris. Enroute the trail is connected by the Hay Park trail and at its end commences the Mount Sopris trail. The area around Thomas Lakes is very popular with backpackers that come to fish from the lakes and to climb Mount Sopris (12,965 feet). To get to the trailhead drive about 2.5 miles south through the town of Carbondale on Highway 133 measuring from its junction with Highway 82. Turn left onto the Prince Creek Road. Follow the Prince Creek Road as it heads east. The pavement will end a little past the 2.5 mile point. Bear right at 5.9 miles following the sign for Dinkle Lake. The trailhead is on the left around the 7.4 mile point from Highway 133. During ideal conditions the road is passable by passenger vehicles but something with a little more clearance would be better. 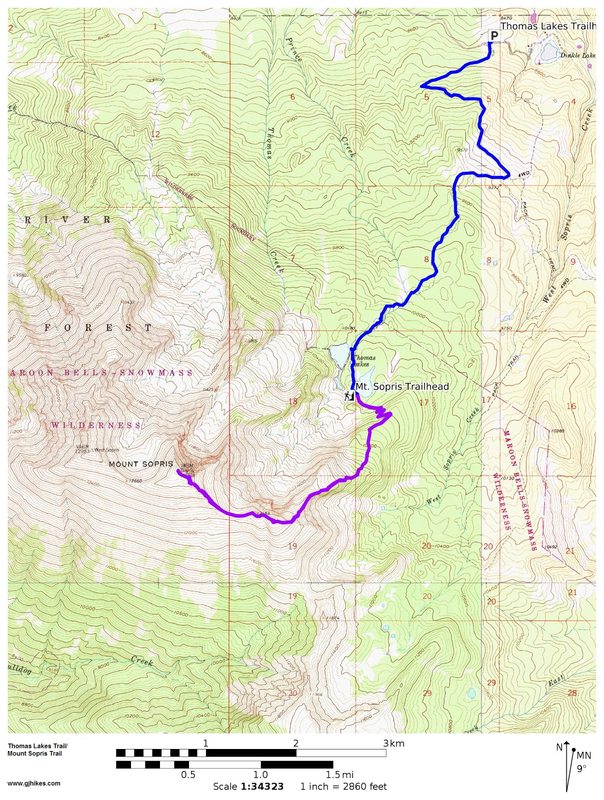 Since there are a limited number of campsites around Thomas Lakes backpackers should be sure to register for one of them before leaving the trailhead. At present there is no fee for using any of the sites. From the trailhead the route follows what looks like an old jeep road judging by the trails width. The trail climbs at a moderate pace with only 1 or 2 switchbacks needed to ease it along. At the 1.25 mile point the trail has leveled off quite a bit as it passes through a gate. For the next half mile the trail leaves the trees and travels out in the open still climbing at an easy pace. At the 1.8 mile point the Hay Park trail branches off on the left and the Thomas Lakes trail begins climbing with more earnest. The trail gets a lot steeper in a few places but only for short stretches before returning to its more moderate climb. Some good views of Mount Sopris can be had at points where the trail is traveling out in the open. 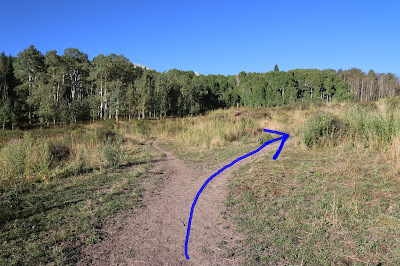 For the next mile or so the trail alternates between sections of aspens and conifers with a few interspersed open areas. The trail gets a little rocky in places but overall it is easy to hike and to follow. A small pond is the first body of water of any consequence that comes up about a quarter mile from the first of the Thomas Lakes. We saw a few fish jump in the first Thomas Lake but can't say anything about the size or type. The second lake has quite a bit of shoreline that looks like it could be a little tough in places to hike around. All of the campsites are scattered around the two main lakes. Also note that no campfires are allowed within a quarter mile of the lakes so if you need to cook be sure to bring your stove. 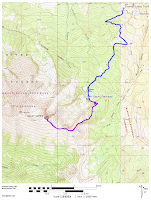 The Mount Sopris trail begins near the southwest corner of the second lake. The Forest Service recommends that Mt. Sopris hikers spread their outing over a two day period by hiking to Thomas Lakes the first day and then tackling the mountain on the second day. There were a great deal of people that were doing just that but a few others, like ourselves, made a day hike out of it. We were passed several times by trail runners carrying nothing more than a camelbak. They help to put it all into perspective. We also saw a few people that tried to make a day hike out of it that turned around when the going got tough on Mount Sopris' east ridge. For trailrunners and day hikers the trek into Thomas Lakes probably only requires a moderate amount of effort. Backpackers on the other hand are likely to find it to be much more strenuous with their 30+ pound packs. 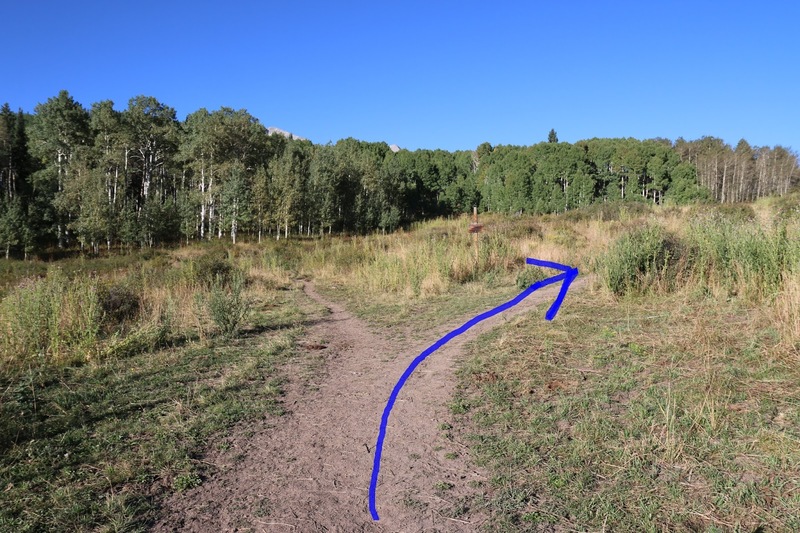 The above picture of the parking area at the trailhead was taken on a Saturday in September. The parking lot was full and there were another half dozen vehicles parked along the road with plenty of room for more. You might also notice that at least 2 of the vehicles are passenger cars. Our best guess is that 90% of the people were backpacking to Thomas Lakes. Mountain bikes are also allowed on the Thomas Lakes trail but no further than the lakes. We encountered at least a half dozen MTBs but they were all splitting off on the Hay Park trail and not going all the way to the lakes. However you choose to enjoy the area if you would like to see it for yourself then all you have to do is 'Take a hike'.